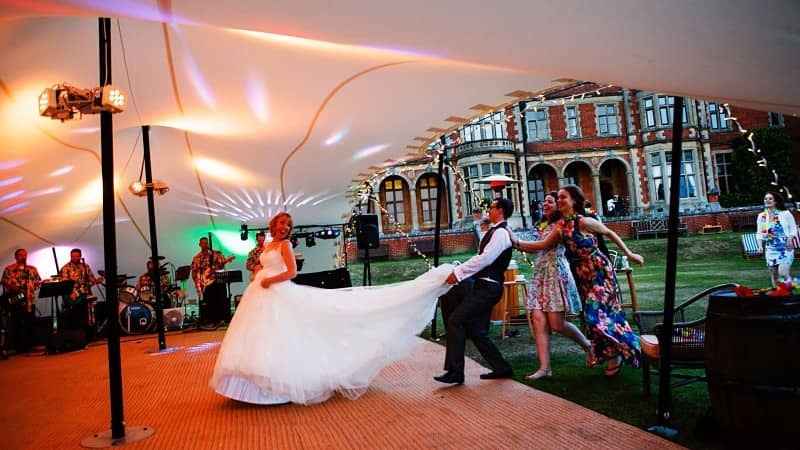 12 x 15m chino stretch tent emerging from the mouth of a helicopter hanger creating one unique wedding space! 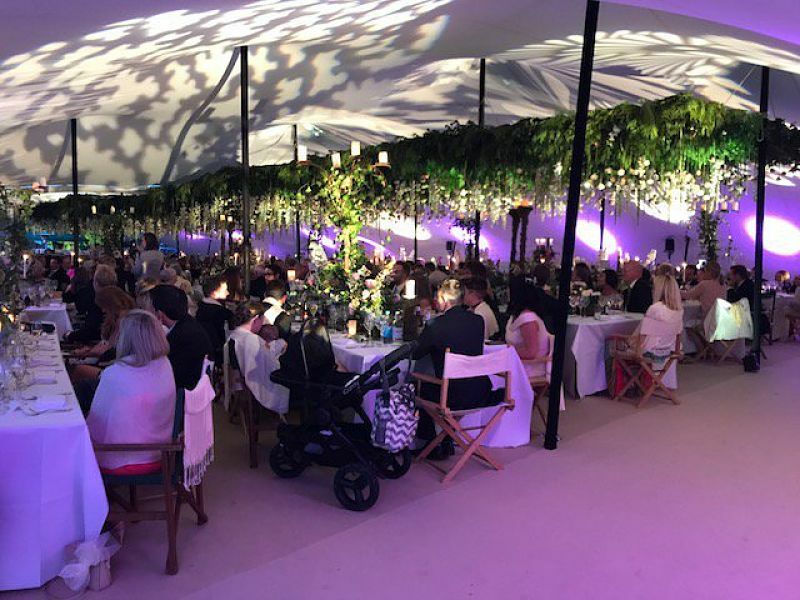 We were commissioned to provide 1,800sqm of luxury hospitality space for 1,500 VIPs all under one roof. 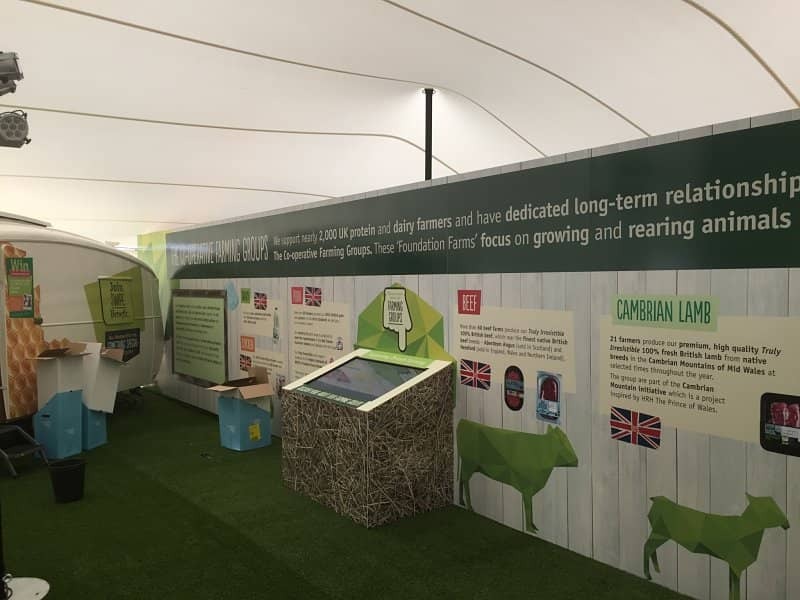 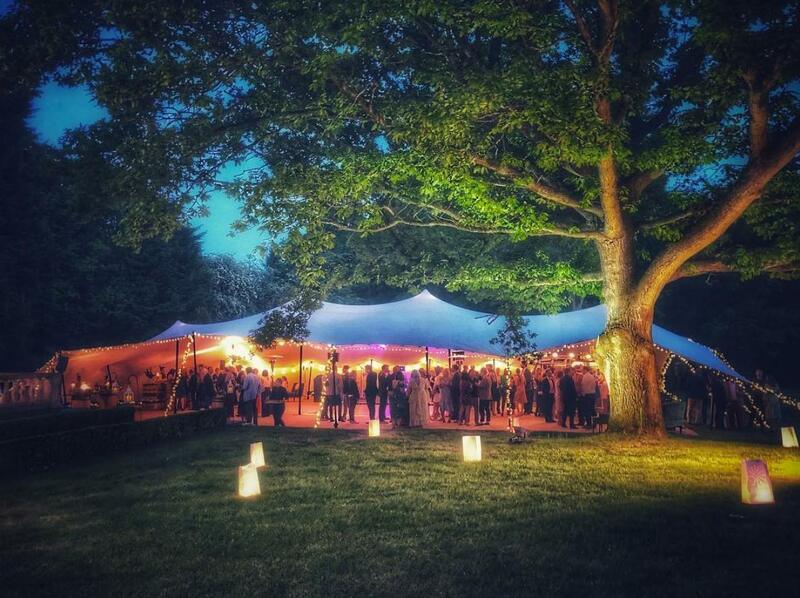 The result… this gigantic 20m x 90m stretch tent complete with carpeted hard floor and festoon lighting. 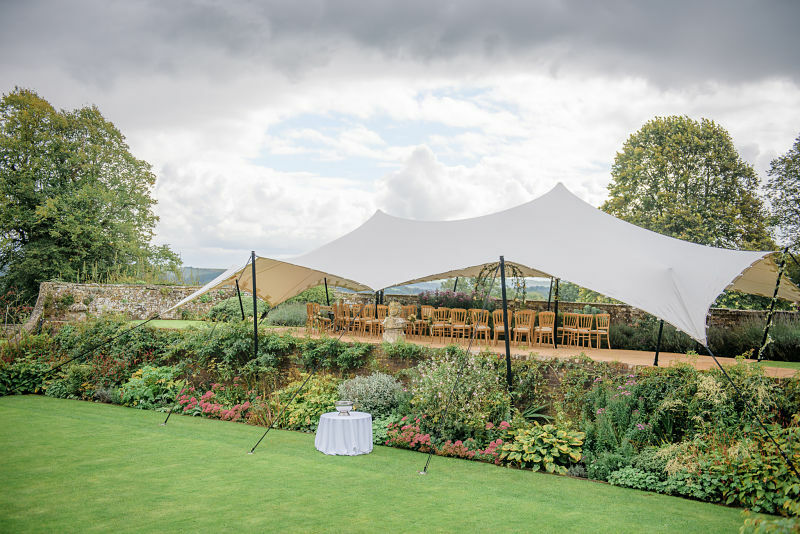 Who said stretch tents were only small!? 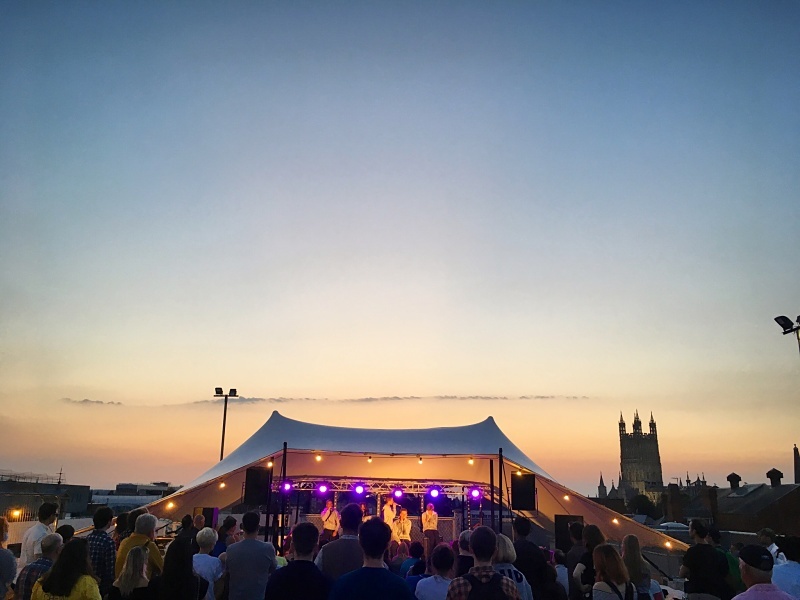 9x12m rooftop festival stretch tent hovering over the Gloucester skyline. 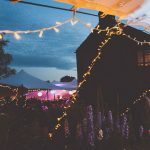 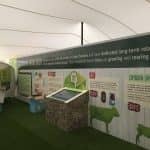 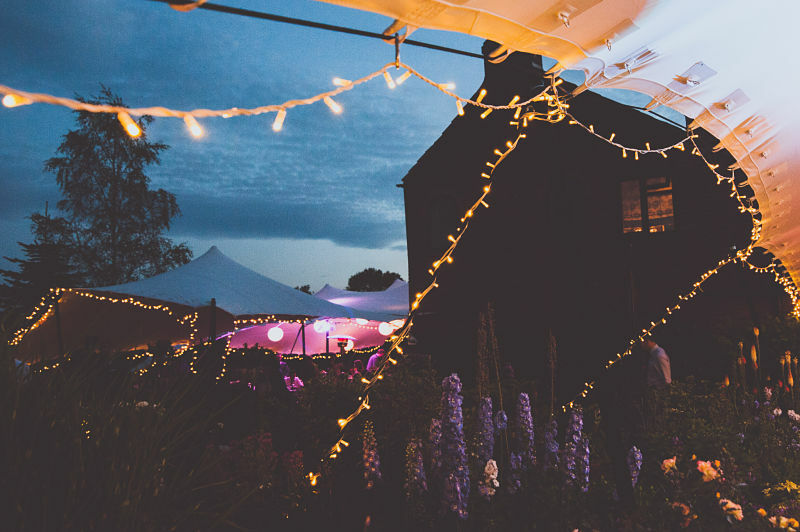 15x24m white stretch tent with loads of stylish finishing touches including matting, oak effect dancefloor, staging, oak barrels, reclaimed pallet wood bar, heaters and some perfect lighting to bring this 40th to life. 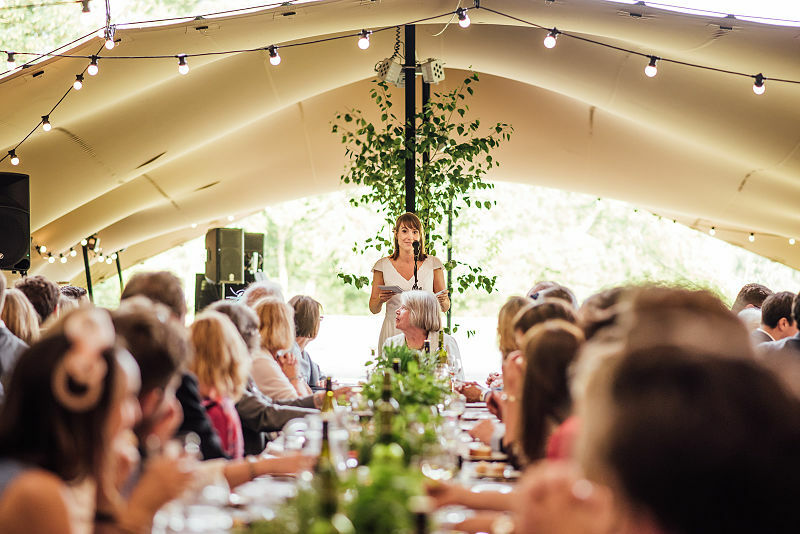 Beautiful 6m x 60m canopy providing banquet space and some welcome shade for 100 seated guests for 70th Birthday party. 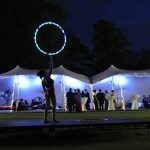 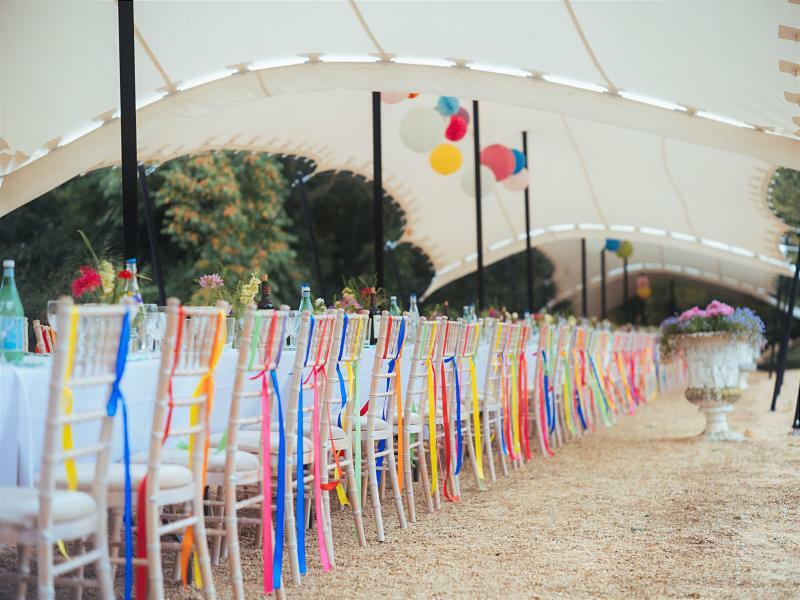 One epic 100m long tent hidden in the woods for 300 seated guests and two stretch tents (pictured – 19m diameter and 15x15m) for the afternoon and evening celebrations. 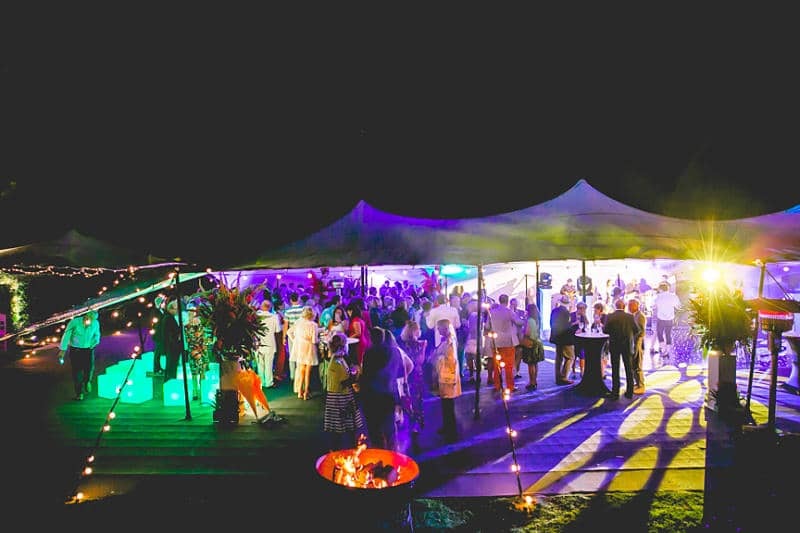 12x15m with matting, stage, dancefloor, bar, heaters, festoon and parcan lighting for 50th birthday party. 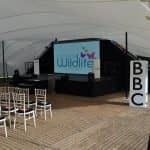 20m x 35m tent for dining with a 12m x 15m stage and dancing tent. 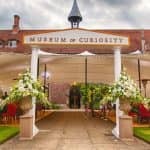 9x15m white canopy for intimate wedding ceremony, music and cocktails overlooking the rolling Wiltshire hills. 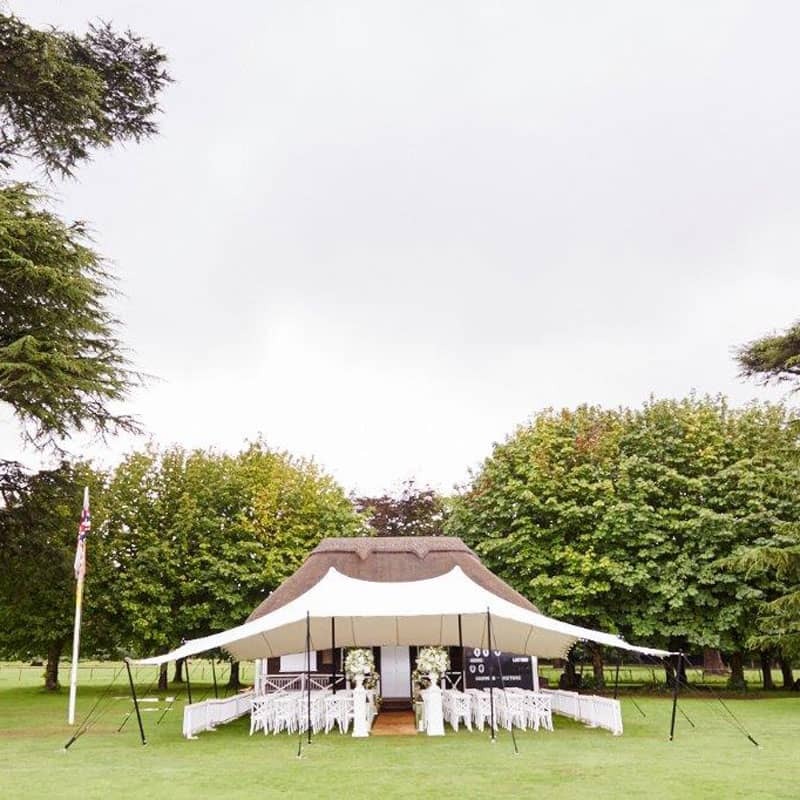 Two stretch tents for wedding celebrations at home with flooring, lighting, dancefloor and heating. 19m round tent over circular sunken garden and a 12x15m tent stretched between the trees. 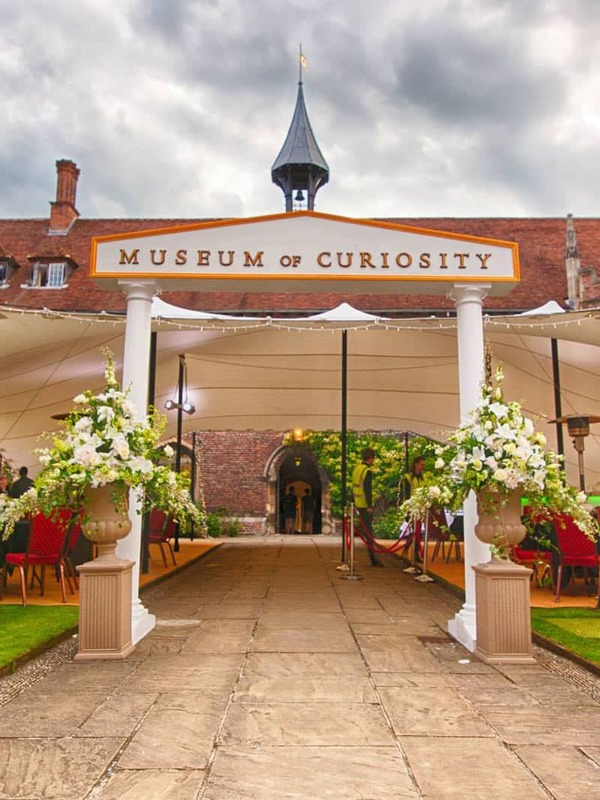 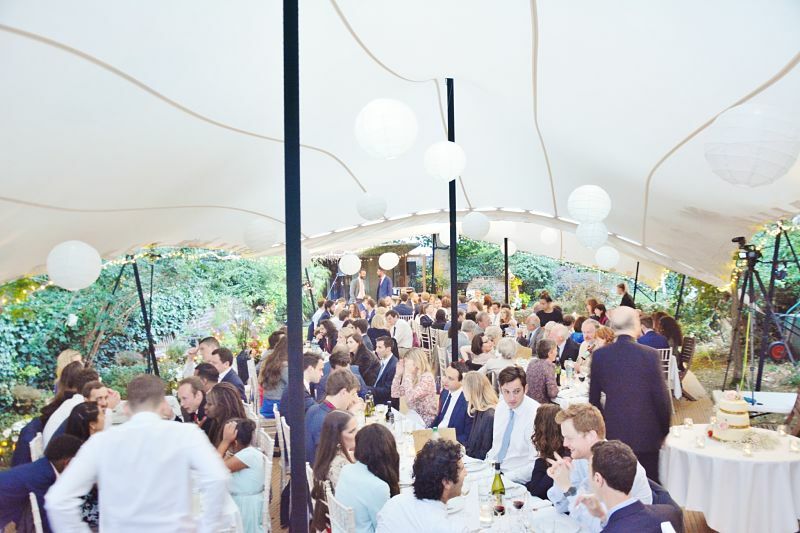 A linked 9m x 21m white tent created the roof to this London back garden wedding. 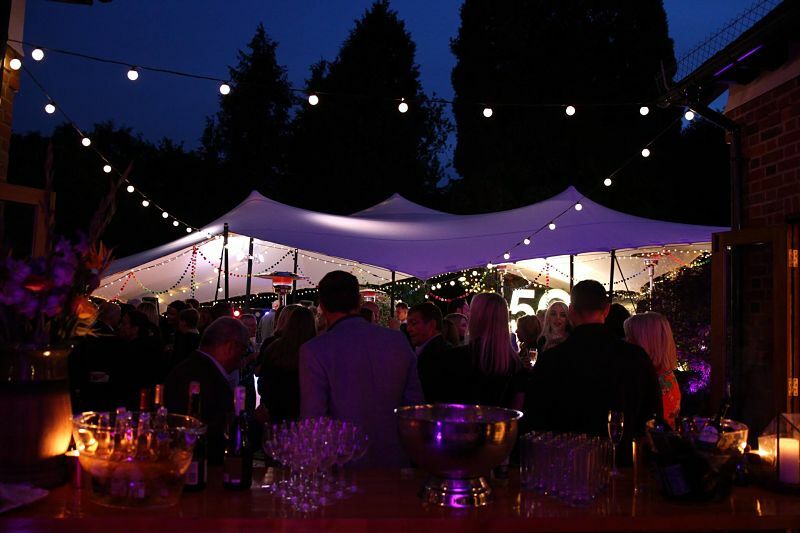 Four linked tents to provide a large party space incorporating different areas of the garden. 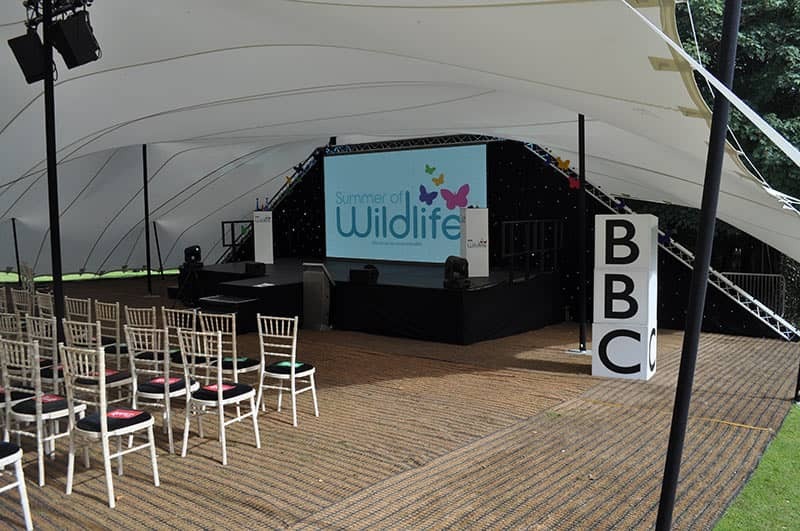 9x15m white stretch tent rigged with two sides down to shelter from the wind.